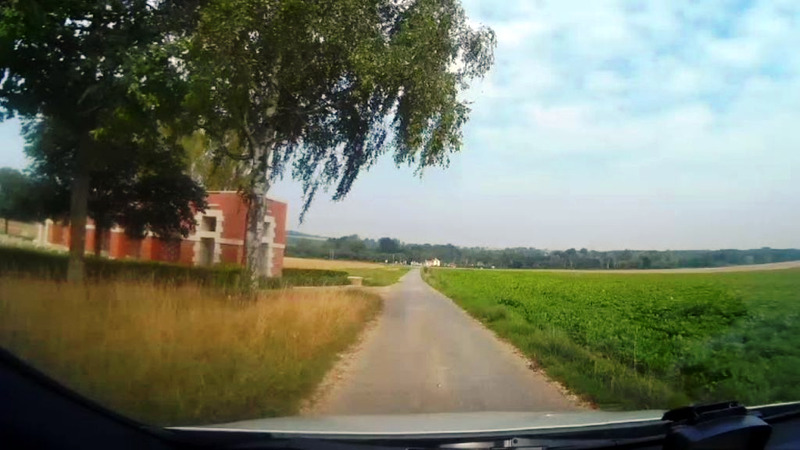 On 4th September 2014 Stephen and I drove to Heilly Station Cemetery, which is located approximately 2 km south west of the village of Mericourt-l’Abbe, which is about 19 km north east of Amiens and 10 km south west of Albert in France. According to the Commonwealth War Graves Commission website http://www.cwgc.org/, Heilly Station Cemetery was begun by the 36th Casualty Clearing Station at Heilly in May 1916, and was used for Commonwealth burials up until the last burial in May 1919. The 36th Casualty Clearing Station at Heilly Station was close to the Somme battlefields, and was on the route taken by ambulance trains taking casualties back to hospital behind the lines. There are 2,890 First World War Commonwealth servicemen buried or commemorated in this cemetery. The Cemetery also contains 83 German graves. Due to the large number of burials being carried out, many of the headstones have more than one name on them, as many of the graves were too close together to be marked individually. Edward Joseph McGarry, a fuelman on enlistment per his service record, who joined the Coo-ees at Bathurst, is the only Coo-ee buried in this cemetery. He died of wounds on 13th December 1916. He shares a headstone with another Australian soldier. A photograph of the headstone on Edward Joseph McGarry’s grave will be placed on his individual blog entry, and form part of a Roll of Honour for the fallen Coo-ees on this blog. The photograph below shows Heilly Station Cemetery on the left, and in the distance, Heilly Station at Heilly. The green crop on the right is potatoes. This entry was posted in Cemeteries and Memorials and tagged Edward Joseph McGarry, Heilly Station Cemetery. Bookmark the permalink.